My first giveaway has ended, and the winner was chosen via slips of paper mixed around in a shoe box. I know a lot of people use the random number generator, but that just doesn't feel authentic to me - so I wrote everyone's entries out. Without further ado, the name I drew was Miss Vinyl Ahoy! 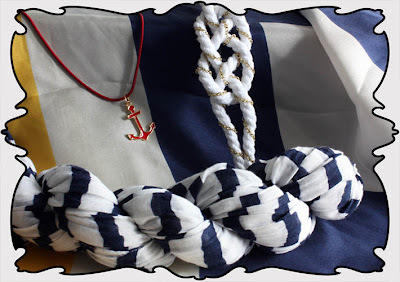 Congratulations, you have won the She's So Nautical Giveaway! To everyone else, thanks so much for participating and for reading my little blog, you all mean so much to me! That was a pretty damn good giveaway! I would do mine as you did, putting some names on a box... I don't like the random number generator either... I really love the old school way haha.. Lovely blog you have :D i'm now following! Ahhhh!! No way!! :) I'm so excited!! Ah lovely giveaway you organised there ! Like the shorts with the olive tights, btw! I really liked your last post about the shorts. I was also back and forth about them for so long, but once I added the tights to them ...I can't get enough! I love how you paired the tweed with the textured green tights and the ballet flats. That's so cute how the winner how Ahoy! in it, haha! <3 I love it. And I would totally love to make an outfit for you, oh my goodness yayyy! Okay here we go, let me try to make this the least confusing as I can..
Hooray! You can leave the blazer open or closed. :D and scrunch up the sleeves! I hope that I did this right and I hope you look good in it. :) Sometimes it's hard to tell unless you're wearing it. congrats to the winner. that is a very gorgeous giveaway. love your blog! too bad I didn't enter for the giveaway, I never win hehe, maybe next time, love your style!